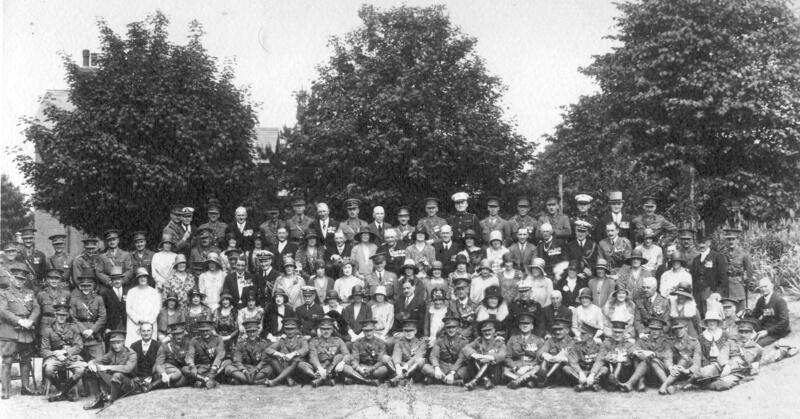 Photograph of John Phillip Sousa with Officers of the Royal Welch Fusiliers, United States Marine Corps, Naval and Military Attaches and Charge d’ Affaires of the United States Embassy in London following Mr. Sousa’s presentation of the original script of his march, “The Royal Welsh Fusiliers” to the regiment on June 25th, 1930 at Tidworth, England. The strong and enduring relationship between the United States Marine Corps and the Royal Welch Fusiliers date back to the time of the Boxer Rebellion in China when they fought together as a combined Allied unit. To this day the Royal Welch Fusiliers are the only unit of the British Army to have the unique Battle Honour “Pekin” on the Regimental Colour. Annual greetings and salutations have been traditionally been rendered on the occasion of the Marine Corps Birthday and on St. David’s Day, birthday of the patron saint of Wales. Of interest also is the origin of the American Naval mascot, a goat, which was originally given by the Royal Welch to the United States Marine Corps, who at that time came under the command of the United States Navy. At the time of the Marine Corps’ evolution into its own arm of the service, they selected the bulldog as a form of distinction from the Navy, while the Navy retained the goat as its particular mascot.